Says Happy Birthday with candles over the text. Comes in assorted colors. 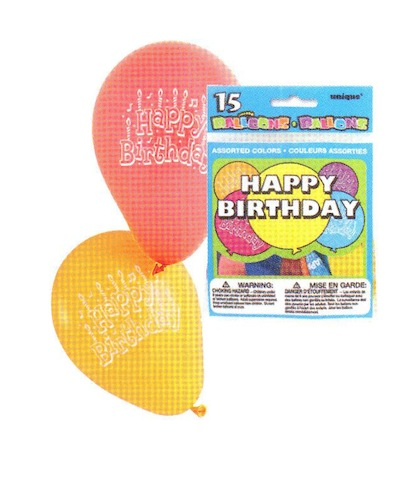 15 balloons per pack.